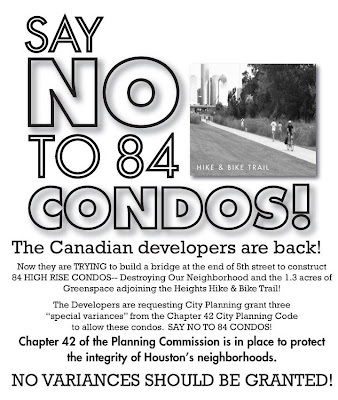 The folks at Responsible Urban Development for Houston have written a sample letter to make it easy for you. It takes less than 2 minutes and can make a difference for your neighbors who live on the small street that will access this development. Must be sent tonight to make an impact tomorrow. 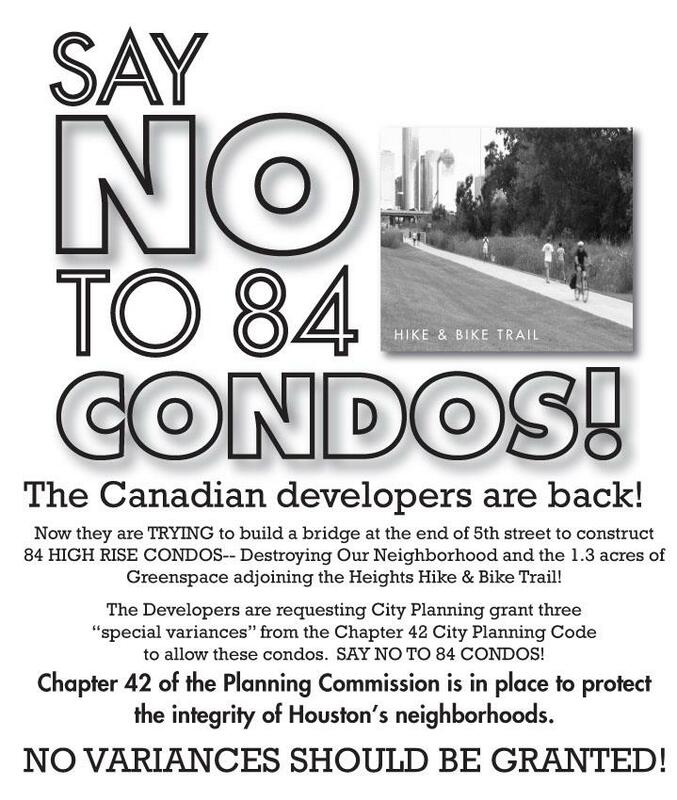 I am writing to express opposition to the Variance Requests submitted by Gene Carroll and Associates, L.P. for the 84-unit Emes Place condominium development sited alongside White Oak bayou and the existing Heights Hike and Bike Trail. This development proposes to have a single “private street”, specifically a bridge, accessing the condominiums. The request for “private” designation allows the developer to forgo a safe sidewalk on this vehicular bridge. How will the mobility impaired, children and mothers with strollers access this development? Designating something “private” in order to skirt providing safe pedestrian access puts the public at risk. In addition, this bridge over a drainage ditch creates a single access point into the development. The White Oak bayou is flood prone. The nearby Yale Street bridge floods over its deck. What will happen if this bridge floods? How will emergency vehicles access the development? How will residents? If this becomes a known hazard, will residential parking spill over into the neighborhood? This parcel of land has largely remained undeveloped because of the site limitations and existing conditions. The City of Houston should not approve variances that allow developers to skirt existing regulations that provide public safety protections and reduce negative impacts. Please deny the Variance Requests for the Emes Place condominium. I agree. Quit building all the honeycombs. 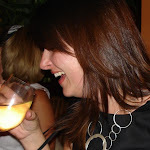 We are starting to look like an old greenless New York.